Everybody who plays video games these days has probably heard of Rockstar North, the studio behind the Grand Theft Auto series, but back in the day, the studio was known as DMA Design Limited and its first big hit came in the form of a puzzle-platformer called Lemmings about cute creatures who die in spectacular fashion if the player doesn’t solve a level the proper way. The success of Lemmings and its sequels paved the way for Grand Theft Auto, but the series has largely been ignored and abandoned by modern gaming. Thankfully, whether you fondly recall those green-haired creeps or have never heard of Lemmings in your life, Rich Stanton at Read Only Memory has put together a history of the game that also doubles as an interesting look into how games were made back in the ‘80s. The genesis of the Lemmings idea on its own is pretty funny, and it starts with a giant “ED-209-esque enemy” created for a shooter called Blood Money. DMA wanted to design a game around tiny troops battling a huge killer robot, with miniature sprites emphasizing the awesomeness of the mech. One day, a designer named Mike Dailly put together an image of the little men being smashed to death or blown away by laser guns and “everyone loved it,” so they decided to build the game around that idea instead. From there, the basic Lemmings concept started to take shape: The little characters move along a mostly set path, and the player has to gently guide them away from traps and hazards. 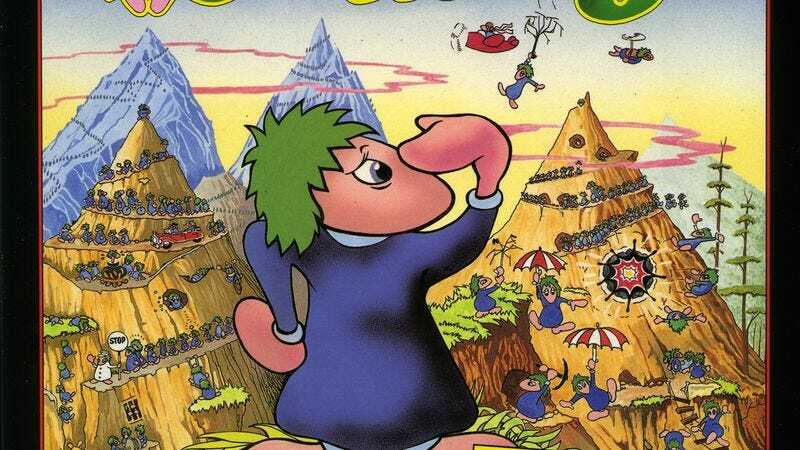 The lemmings could also be given special abilities (like blocking other lemmings from going a certain way or digging into the ground), making Lemmings into a predecessor to modern strategy games. The Read Only Memory story also digs into the tech that made Lemmings possible and why modern developers have been unable (or unwilling) to update the game. The theory presented is that Lemmings is so tightly designed that adding or removing anything would ruin the beauty of it, meaning it’s better left untouched. In 2016, when games that are only a few years old are getting remakes, that’s pretty novel all on its own. Also, make sure to check out the delightful Lemmings artwork made by Kyle Fewell at the link.